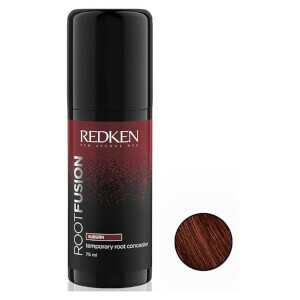 Ideal for use in between salon appointments, Redken's Root Fusion blends seamlessly with hair to cover up dreaded roots, regrowth and grey hairs, leaving you feeling confident around the clock. Shake well before use. Keep product upright. On dry hair, spray on to visible roots at a distance of 15cm. Leave to dry for 1 minute. style as usual.